Today Limbert is the newly appointed Deputy Assistant Secretary for Iran in the State Department’s Bureau of Near Eastern Affairs. That makes him Secretary of State Hillary Clinton’s point person on Iran, just as pressure is building in Congress to impose more sanctions on the Islamic Republic. Limbert, who has praised what he calls Obama “patience” in dealing with Iran, is expected to play an active role in current U.S.-Iranian negotiations. He replaces hardliner Dennis Ross, a longtime Iran expert who co-founded the pro-Israel Washington Institute for Near East Policy. At first glance, it might look like the Obama administration is reinforcing its stated goal of pursuing dialogue over confrontation. On second glance, not so much. Ross already had been moved to the White House, where, as a member of the National Security Council, he serves as special assistant to President Obama on the issue of Iran. So Ross is still a major player, at least as well positioned as Limbert. And just before his new appointment, he co-authored a book that described negotiations with Iran as necessary in order to win over public opinion to supporting more sanctions and even possible military action. Before he became a reluctant long-term guest at the U.S. Embassy, Limbert served as a Peace Corps volunteer and then English teacher in Iran, during the tyrannical reign of the last Shah. His later diplomatic career led him to tours in Algeria, Guinea, Djibouti, Saudi Arabia and the United Arab Emirates. In 2003, as ambassador to Mauritania, he was among the first U.S. diplomats to enter Baghdad after the U.S. invasion, charged with helping to protect Iraq’s cultural treasures from looters. He later returned to support the U.S. occupation. Limbert also has held senior positions in Washington with the State Department. Fluent in Farsi and Arabic, he currently is Distinguished Professor of International Affairs at the U.S. Naval Academy. Some progressives are noting that, until his most recent appointment, Limbert served on the board of advisors of the National Iranian American Council, an anti-sanctions organization. However, NIAC receives funding from both George Soros’ Open Society Institute, which previously supported the so-called “color” revolutions in Georgia and the Ukraine, and the National Endowment for Democracy, formed to continue the CIA program of regime change of governments deemed not sufficiently respectful of Western interests. 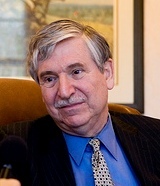 Both Soros and the NED have been supporting the “Green Movement” in Iran, which on the one hand promotes an opening of the domestic political process, and on the other an economic program of privatization, deregulation and broad cutbacks in government-funded social services for the poor, plus a foreign policy that would seek to avoid pressure from the West by reducing support for the Palestinian struggle and cooling ties with leftist governments in Latin America. In an interview posted Feb. 6, 2009, by Radio Free Europe / Radio Liberty, Limbert was asked if he ever thought the Iranian Revolution would last 30 years. Neither did he expect, most likely, to become a key State Department official dealing with the government of his former captors. But while his preferred methods may differ from those of Dennis Ross, it would be naive to think that his political goals are any less ambitious: undermining Iran’s growing ability to oppose U.S. policy in the Middle East by restricting its access to alternative energy sources while promoting a change to a government friendlier to Western corporate interests. Phil Wilayto is an anti-war activist based in Richmond, Va., and the author of “In Defense of Iran: Notes from a U.S. Peace Delegation’s Journey through the Islamic Republic.” He can be reached at: [email protected].